Researchers have developed a new tool that utilizes basic laboratory tests to effectively identify patients with chronic obstructive pulmonary disease who are at high risk of being hospitalized due to a flare up of the condition. The new risk-score stratification tool, developed and validated in more than 132,000 patient records by Intermountain Healthcare researchers at Intermountain Medical Center in Salt Lake City, is unique in that it uses laboratory tests used in routine care to determine whether patients are at high or low risk of hospital admission in real time. Researchers say the new Laboratory-based Intermountain Validated Exacerbation tool, known as the LIVE Score, may help clinicians better care for COPD patients by predicting high-risk patients who may benefit from early and specific interventions to avoid hospitalization. COPD is the name for a group of diseases, primarily emphysema and chronic bronchitis, that are chronic inflammatory lung diseases that cause obstructed airflow from the lungs that affect more than 15 millions Americans, according to the Centers for Disease Control and Prevention. Acute exacerbation of COPD is a sudden worsening of COPD symptoms (shortness of breath, quantity and color of phlegm) that typically lasts for several days, and in severe situations can lead to hospitalization. Symptoms can be exacerbated, or worsened, by airborne irritants like secondhand smoke, dust, pollen, fumes or air pollution. During a flare up, patients may end up in their doctor's office, the emergency department, or require hospitalization. In the retrospective study, researchers found the majority of patients who experienced COPD exacerbations were in the LIVE risk-score model's two highest risk groups. Conversely, patients in the risk model's lowest risk group, fewer patients had exacerbations. "We believe the ability to effectively identify these patients and intervene earlier in the course of a COPD exacerbation may help provide them with a higher quality of life, and potentially reduce medical costs associated with preventable hospital admissions," said principal investigator Denitza Blagev, MD, a pulmonary and critical care physician at Intermountain Medical Center and medical director for quality for Intermountain Healthcare . Results of the study of the LIVE Score model will be presented at the American Thoracic Society's annual international conference in San Diego on Monday, May 21, at 9:15 a.m, PDT. The LIVE risk score was validated among 48,871 patients who received a COPD diagnosis at Intermountain Healthcare between 2009 and 2016, and later validated among 83,134 patient records from the Veterans Affairs National Health System. Researchers from the University of California, San Francisco, and the VA Medical Center in San Francisco participated in the study. At first, COPD may cause no symptoms or only mild symptoms. As the disease gets worse, symptoms usually become more severe. They include: a cough that produces mucus, shortness of breath (specially with physical activity), wheezing, and chest tightness. 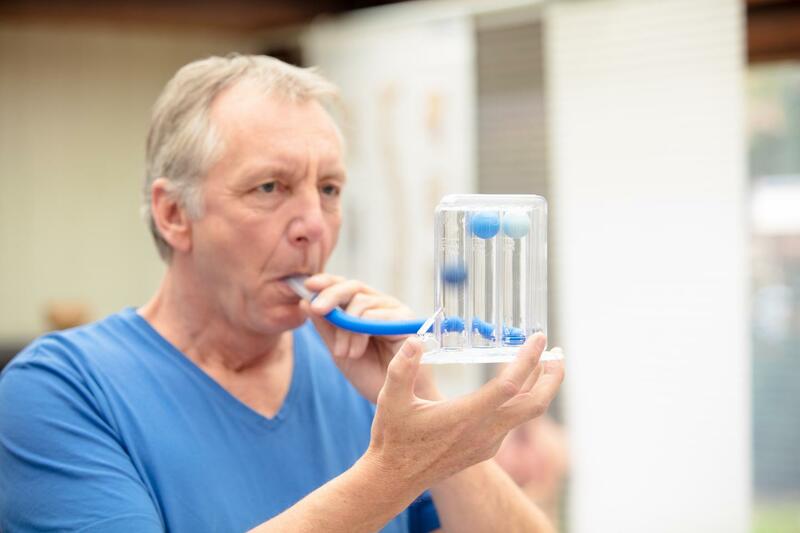 There is currently no cure for COPD, but treatments are available to manage the symptoms and include: medications (such as inhalers), pulmonary rehabilitation, physical activity training, and oxygen treatments. "Although we currently think about COPD as a single disease, the course and progression of the disease is variable among patients," said Dr. Blagev. "It's not only based on the severity of their COPD and lung function, but also on the number and variety of other medical problems a patient may have." The new LIVE scoring tool allows for improved COPD patient care on a health system level by identifying when earlier interventions may prove useful, while educating patients and families on what the future may look like for an individual patient diagnosed with COPD. Dr. Blagev said further study is needed to examine the utility of the LIVE Score as a population health strategy in COPD patients. But she is encouraged by initial findings. "Because the LIVE Score is laboratory based and reproducible, we are able to calculate the LIVE score electronically and identify high risk patients at the time of contact," she noted. "We can also identify patients based on data previously collected, even if they are not in the hospital currently, and can begin to develop interventions targeting these highest risk patients." Other members of the research team involved in the study include: Dave S. Collingridge, PhD, and Susan Rea, PhD, with Intermountain Healthcare; Siyang Zeng, MS, and Mehrdad Arjomandi, MD, with University of California, San Francisco (UCSF) and the San Francisco Veterans Affairs Medical Center.